What more do you want when you are trying to toss a salad in your own kitchen? 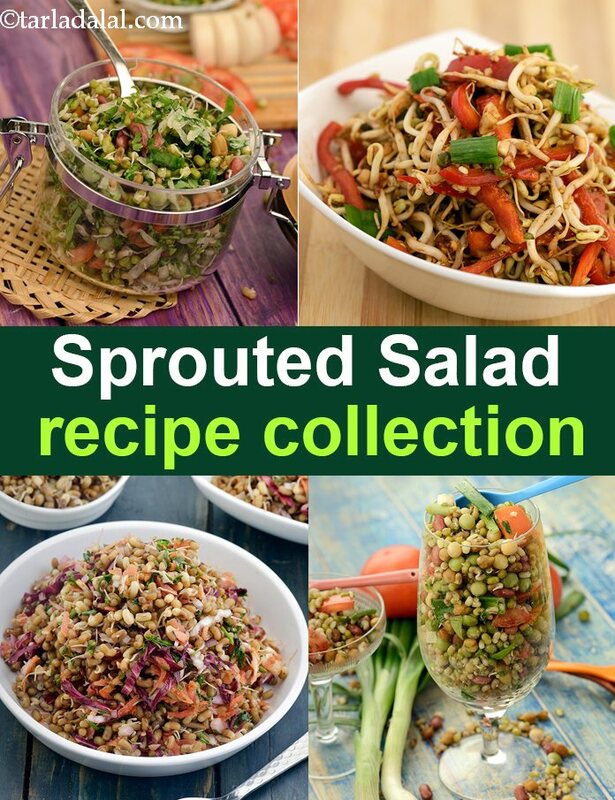 Try combining them with fruits to make quick salads like Mixed Sprouts Fruits and Veggie Salad, Papaya, Cabbage and Bean Sprouts Salad or an innovative option like Pear Spinach and Bean Sprouts Salad. Well if you have a stock of veggies more than fruits in your pantry, we have surprises like Sprouts, Spring Onion and Tomato Salad and Roasted Capsicum and Alfa-alfa Sprouts Salad with Peanut Dressing. Be a little innovative, make your own healthy dressing and toss them with sprouts of your choice. Have it for lunch or as a small healthy snack and welcome health. Being rich not only in iron, but also in other nutrients like vitamin A, calcium and protein, this classic salad is the best way to start your day.